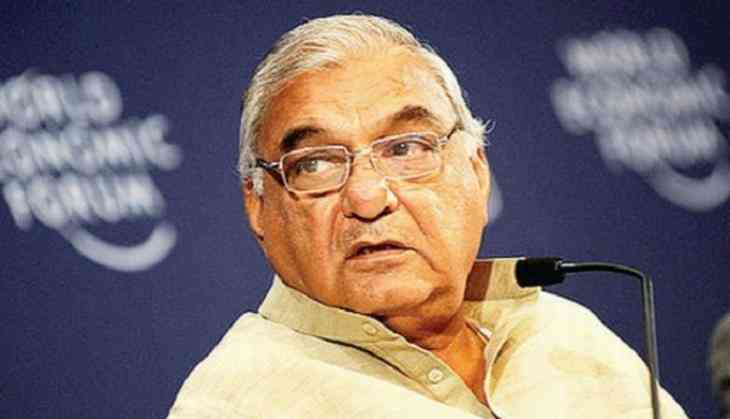 The Central Bureau of Investigation (CBI) questions former Haryana Chief Minister Bhupinder Singh Hooda on Monday over alleged irregularities in allotment of 14 industrial plots in Panchkula. This is the second time Hooda has been questioned over this particular land allotment scam. The case pertains to the alleged purchase of 400 acres of land from farmers in Gurugram for Rs. 100 crores when the actual worth (according to market rate) was Rs. 1,500 crores. The purchase, according to the CBI, was made during August 2004-August 2007, under the "threat and false apprehension of acquisition of the land by the state government". The CBI had conducted searches around 24 places including Rohtak, Gurgaon, Delhi, Chandigarh and Panchkula at the the residential and office premises of various persons in an on-going investigation of a case. The CBI had also registered a case on Sep 15, 2015 against unknown public servants of Haryana Government and unknown private persons. A case was registered at Police Station Manesar, District Gurgaon under section 420, 465, 467, 468, 471 and 120-B of Indian Penal Code (IPC) and under section 13 of the Prevention of Corruption Act, 1988, on the request of Haryana Government and further directions of Government of India. In this process, initially the Government of Haryana had issued notifications under various sections of Land Acquisition Act for acquisition of land measuring about 912 acres for setting up an Industrial Model Township. As a result of this, a large number of land owners, in haste, had allegedly sold their land at throwaway prices. It was further alleged that the land, about 400 acres, had been grabbed from the land owners by the private builders under the threat of acquisition at meager rates. An order was also allegedly passed by the Competent Authority in Government on August 24, 2007 releasing this land from the acquisition process in violation of the government policy and the licenses/CLU were issued to the private builders. An alleged loss of Rs.1500 crores (approx) was caused to the land owners of Village Manesar, Naurangpur and Lakhnoula of District Gurgaon.